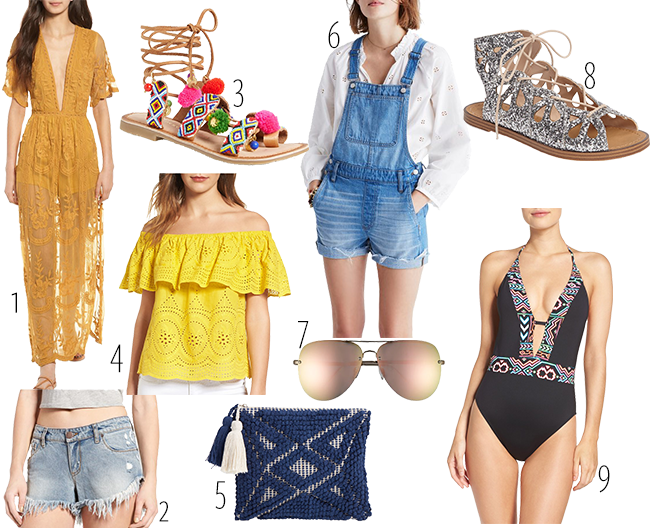 I might not be heading to any music festivals anytime soon (thanks work and more work) but that doesn't mean I can't think about all the fun clothes I could wear. I attended Coachella back in 2013 and it was blast but I definitely don't think I need to head back anytime soon. I loved getting ready for the long weekend with picking out every detail of my outfits (see here and here). Since I am four years older than I was then I decided to put together a fun montage of all my favorite items perfect for any music festival! Hope y'all are having the best week! We are halfway there! I never go for yellow but loving that mustard dress and off-the-shoulder top!